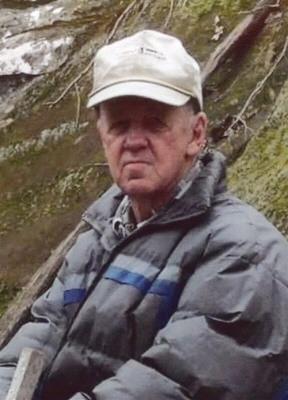 Russell Lee Johnson, 78 of Lewisburg, Kentucky, died on Thursday, March 28, 2019, at Barren County Nursing and Rehab Facility in Glasgow, Kentucky. He was born Friday, February 28, 1941 in Lewisburg, Kentucky, the son of the late Willie Johnson and the late Mabel Johnson. Surviving are brothers, Truman Johnson -(Pat) of Russellville, KY and David Johnson - (Jania) of Glasgow, KY, sister, Joyce Chapman -(Kenneth) of Lewisburg, KY; several nieces and nephews. He was predeceased by sisters, Arlie Stinson and Arlene Watkins. A Funeral service will be at 2:00 PM on Sunday at Price Funeral Home, Inc. located at 252 E. Green St. Lewisburg, Kentucky 42256 with the Bro. Kenny Hardin officiating. Interment will be in Elk Lick Baptist Church Cemetery, Lewisburg, KY. The family will receive friends after 5:00 PM on Saturday, March 30, 2019, at Price Funeral Home, Inc., 252 E. Green St., Lewisburg, Kentucky. To plant a tree in memory of Russell Lee Johnson, please visit our Tribute Store. "Email Address" would like to share the life celebration of Russell Lee Johnson. Click on the "link" to go to share a favorite memory or leave a condolence message for the family.